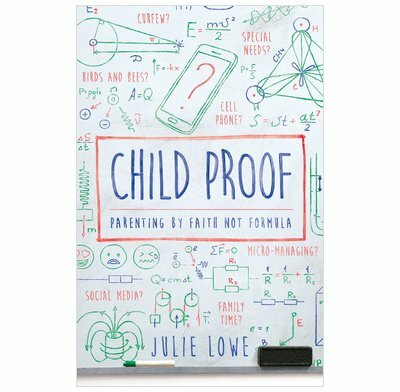 As a freedom-over-formula parenting book for moms, dads, and caregivers of all ages, Child Proof provides biblical insight and encouragement for readers who want to parent by faith. As an experienced counsellor of children and families and an adoptive and foster mom applying the CCEF model of biblical change, Julie Lowe uses Scripture and biblical wisdom to teach caregivers how to know their children and specifically love them with the love of Christ. Every family is unique, which is why Child Proof explores the need for parents to cultivate personal and intimate care for their children as modelled in God’s individual, personal, and fatherly care to his children. This child-rearing book lays a foundation of parenting by faith and progresses by teaching readers how they can know their own kids well and raise them accordingly. By discussing particular issues moms and dads might have in family life, Lowe demonstrates how formulas aren’t the answer, and parenting with biblical wisdom is best for a proactive rather than reactive approach to parenting. Through Lowe’s personal and professional experience, moms, dads, and caregivers,as well as those helping parents—pastors, counsellors, youth workers, and churches—will discover gospel-centered application rather than formulas for the ideal family, equipping guardians to be experts at knowing their own children so they can know Scripture and live it out personally in their homes.